The future development of cloud computing and Apple’s launch of iCloud service will redefine how people use computers while fueling the need for server products and the resurgence of Thin Client terminals. This will revolutionize the IT industry, where endless business opportunities will come. With cloud computing on the rise, this Q2 saw the annual growth rate of global shipment volume of servers hit around 8%, according to the market research firm Gartner. Meanwhile, it also stressed that enterprise users will replace PCs with Thin Client devices, which stand a chance to play a pivotal role in the cloud computing market. 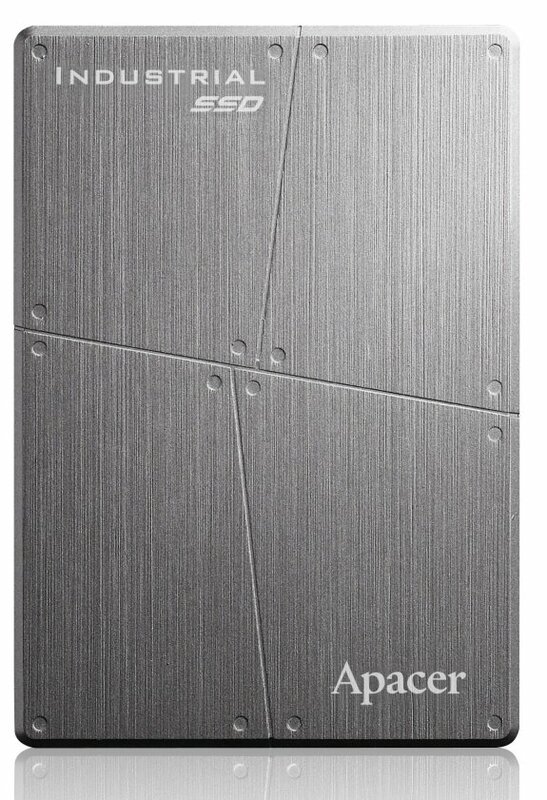 Optimistic about the future of cloud computing, Apacer rolls out an SSD solution featuring high IOPs (Input/Output Operations Per Second) —SAFD (Serial ATA Flash Drive) 25P— in an attempt to maximize the performance. The new SSD is designed to considerably boost data processing capability of enterprise servers. “The performance of one SSD that has 20,000 – 30,000 IOPs is equivalent to that of 60 – 70 traditional hard drives of the same capacity,” said C. K. Chang, the Associated Vice President of Apacer Value-Added Product Unit. He added: “By using SSDs, enterprises can not only elevate data processing efficiency but also save more space and considerable cooling costs.” Apacer hopes that the newly unveiled high-performing storage solution can allow enterprise servers to utilize the feature-rich SSD in place of traditional hard drives to enhance accessing efficiency. This way, the cloud-based data storage can be optimized, as it gives breakthrough accessing performance in a highly reliable operation environment. The newly unveiled standardized SAFD (Serial ATA Flash Drive) SSD consists of highly stable SLC (Single-Level-Cell) chip. The SAFD 25P with 2.5-inch 7+15 pin male connectors comes in 32GB, 64GB, 128GB and 256GB capacities. With sequential read and write speeds of up to 265 and 230 MB/sec, respectively, it can enhance system performance and meet user needs for highly stable and reliable storage solutions. Furthermore, Apacer, in consideration of cost and capacity for customers, introduces the MLC (Multi-Level Cell) offerings with cost structure advantage, SAFD 25P-M. The SAFD 25P-M has maximum capacities of 16GB, 32GB, 64GB, 256GB and 512GB, with sequential read/write speeds reaching up to 260 and 220 MB/sec, respectively. To work normally in harsh operating environments, Apacer SAFD 25P and SAFD 25P-M employ the guaranteed wide-temp chip, which means it can run stably under industry-level extended-temperature (-40°C ~ 85°C) environments for the highest reliability and longest lifespan. And also, these SSDs boast a built-in S.M.A.R.T. (Self-Monitoring, Analysis, and Reporting Technology) technology and intelligent power failure recovery function to safeguard data and enhance product stability. Apacer has over ten years of extensive experience in the SSD market, and records a year-by-year increase in its shipment volume. Excelling at customization service, rigorous quality control and instant technical support, the company is a Taiwan-based SSD supplier capable of developing hardware, software and firmware, with its production and efficiency recognized by top vendors in Japan and the U.S. All these facts have made Apacer one of the world’s top ten industrial SSD suppliers. Apacer shows its commitment to high quality by introducing products that have all passed stern reliability tests for temperature, humidity, shock and vibration. Furthermore, post-mass production ORT (on-going reliability testing) is even performed for ensured stability and lifespan. Devoted to high reliability and compatibility as well as comprehensive customization service, Apacer offers products that can be widely used in industrial computers for military, surveillance, medical, mass transportation and automation applications. Apacer is now the enterprise users’ primary choice among storage solution providers!